What is the process for medical equipment claims? Have you or someone you love suffered pain and injury because of problems relating to your medical treatment or because you contracted an illness due to someone else’s negligence? If you have then you could be entitled to some compensation. You may also help to prevent the same thing from happening to someone else. But what exactly is involved in making a claim for compensation from the NHS or a health care provider? To find out more, have a look at our section on compensation claims or click on the links below. Thompsons is the leading personal injury law firm in the country. Our award-winning lawyers have successfully helped thousands of people recover damages for personal injury. 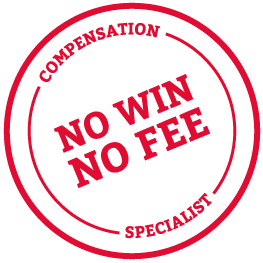 We are dedicated to obtaining the maximum compensation for our clients in the shortest possible time, but we also believe that we offer more than simply a No Win No Fee legal service. Our experience in dealing with high value and complex claims means that we have built up not only legal expertise, but relationships and connections with many other organisations and charities that can help our clients cope with the situations in which they find themselves. We also understand that victims of medical mistreatment have been through – and are still going through - a traumatic experience. Our solicitors are sympathetic and understanding, and will guide you through the legal process as smoothly, and swiftly, as possible. Call our lawyers TODAY on 0800 0891331, to find out more. Calls are FREE and you are under no obligation.